Provides high flow rate, fine mesh centrifugal screening to remove all particles larger than screen mesh opening with no dependence on differences in specific gravity. Ideal for effluent and water recycle streams for large plants. 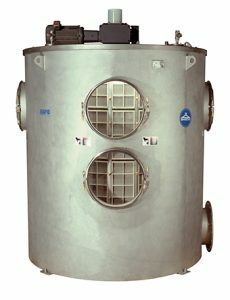 Units available that remove suspended solids down to 500 mesh (25 microns).